New Listing! 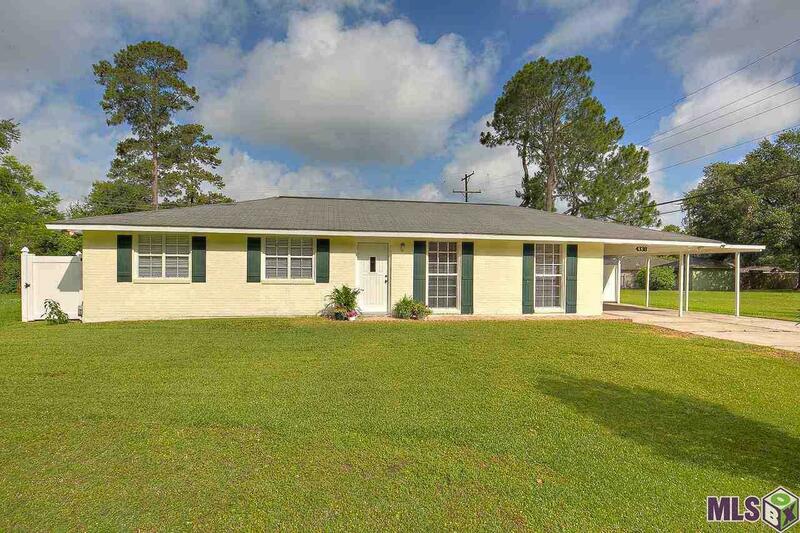 This beautiful well-kept brick home is located in the heart of West Baton Rouge and situated in the established neighborhood of Lynndale. The home is also in the Brusly school district, close to all industries located on the LA. I South corridor and nestled among a street lined with oak trees. Get ready to sit back and relax! This property contains a formal living and dining room, three bedrooms, two baths, brick flooring and hard woods throughout. All appliances will remain with a new stainless steel convection gas cooktop, oven, microwave and frig. There is a large family room with cypress wood work, a lovely fountain and a wood burning fireplace to enjoy family gatherings. Outside you will find a large covered deck to enjoy your morning coffee, as well as an Acadian cottage with water, electric and cable. This space would work well as a guest house, man-cave, She-Shed or outdoor kitchen. The backyard is enclosed with beautiful custom fencing for extra-privacy. This home comes with transferrable alarm and warranty. If you are looking for a quick commute to work, a great school system, wonderful neighbors, all in a quiet tranquil spotâ¦This is the house for you! Don't "sleep" on this listing or you won't "sleep" IN IT!